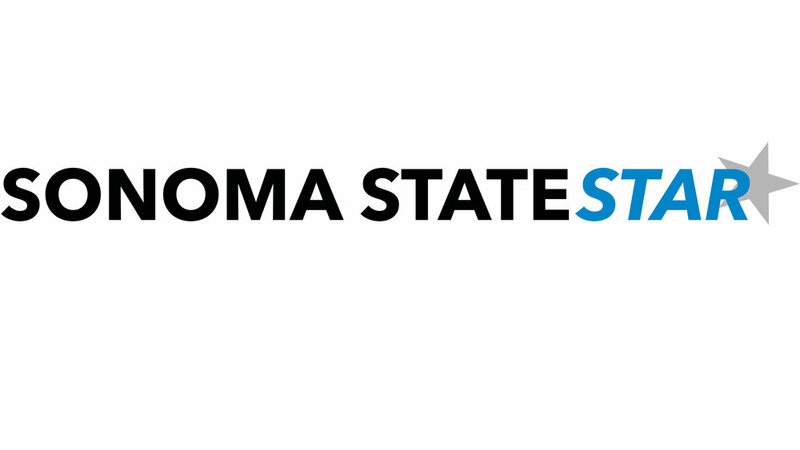 The Sonoma State University women’s tennis team solidified another two dominating wins on the season against Dixie State and Stanislaus State over the weekend. The Seawolves left it all on the court and crushed Dixie State (9-0) and Stanislaus State (8-1), leaving both teams unable to answer. On Friday morning, Sonoma took on Dixie State in hopes of continuing its winning streak. The Seawolves’ lineup consisted of Jensyn Warren, Amanda Zuidema, Kaitlyn Haithcock, Jordyn Kearney, Katherine Long, Jenna DeTurk and Hillary Fazekas. In the singles competition, the Seawolves were on fire and won all six of the matches. Sonoma kept the momentum going and managed to win all three of its doubles matches. This left Dixie State shocked and in a 9-0 defeat against the Seawolves. Sonoma State kept the pressure on and swept the singles competition against Dixie State. The Seawolves were ruthless and only played one extra set in just one match. Warren took down Kana Goldsmith 6-0, 6-0. After her win, Zuidema defeated Kyra Harames with an outcome of 6-1, 7-5. Haithcock triumphantly followed, beating Laura Hartie 6-1, 6-2. Kearney held strong against Hina Goldsmith and won 7-6, 4-7, 6-1. With two matches to go, DeTurk battled Kaylee Milligan for a successful win for the Seawolves 6-2, 6-0. Long finished the sequence and destroyed Sydney Nichols 6-0, 6-1. The Seawolves had a perfect record in the doubles competition, winning all three matches. Warren and Kearney teamed up to defeat Harames and Goldsmith from Dixie State 8-4. Sonoma kept the momentum going with Long and Fazekas, who fought hard to win 8-2 against the Trailblazers’ Nichols and Goldsmith. Zuidema and DeTurk played against Hartie and Milligan in the last doubles match, where the two Seawolves were able to pull out a dominating win 8-0. With a quick turnaround time, Sonoma State made its way to Turlock and played Stanislaus State Saturday afternoon. The Seawolves were looking to fight and won all but one of their six singles matches. However, the team didn’t let one loss get in the way of taking home the victory, winning all three of the doubles matches over the Stanislaus Warriors. “I went into the match with the mindset that I knew I could win as long as I stayed aggressive and played my game,” Budge said. “It is very crucial for me to focus on the aspects of the match that I have control over, not the things I cannot control. Focusing on the present moment and not letting my mind stray away from that is something that really helps me.”. Sonoma State looks forward to playing Notre Dame De Namur in Oakland at noon on Friday in hopes of continuing its hot four-game win streak. With these victories against Dixie State and Stanislaus State, Sonoma State has held its national ranking as the No.17 ranked team.